The general role of personal assistants in form of anthropomorphised conversational, virtual or robotic agents in cars is subject to research since a few years and the first results indicate numerous positive effects of these anthropomorphised interfaces. However, no comprehensive review of the conducted studies has been comprised yet. Furthermore, existing studies on the effect of anthropomorphism mainly focus on passenger cars. This article provides a comprehensive review and summary of the conducted studies and investigates the applicability to commercial transportation, in particular to anthropomorphised interaction between truck driver and truck. In the first part of the article, a literature review describes the details, aspects and various forms of anthropomorphism as well as its observed positives effects. The review focusses on studies referring to anthropomorphism in passenger cars, complemented by relevant research results from non-automotive disciplines. 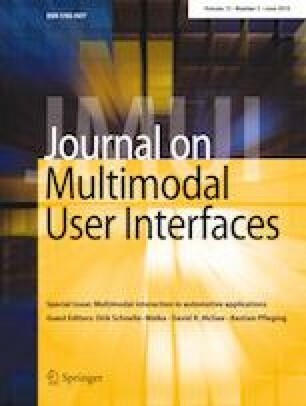 The second part of this article aims to derive innovative and applicable concepts for the anthropomorphised driver-truck interfaces using the Design-Thinking approach: building on a comprehensive literature review to identify user needs and problems, an interdisciplinary expert workshop developed the two first anthropomorphised driver-truck interaction concepts. The paper finishes with carving out the differences between anthropomorphised car-driver and truck-driver interaction. The next step of research will then be the implementation of the developed interaction concepts in a first prototype followed by the respective user evaluation. This research was conducted with basic research funds of the Institute of Automotive Technology at Technical University of Munich. We would like to thank the participants of the interdisciplinary workshop Rafael Hostettler, Marcus Novotny (10 Days of Design), Markus Rickert (Fortiss GmbH), and Christiane Wölfel for their contributions. JF is the initiator of this article’s research idea and contributed to the literature review, workshop design, development and data analysis. NTR has supported the research idea, contributed to the workshop design and revised the manuscript. FD revised the manuscript critically for important intellectual content.